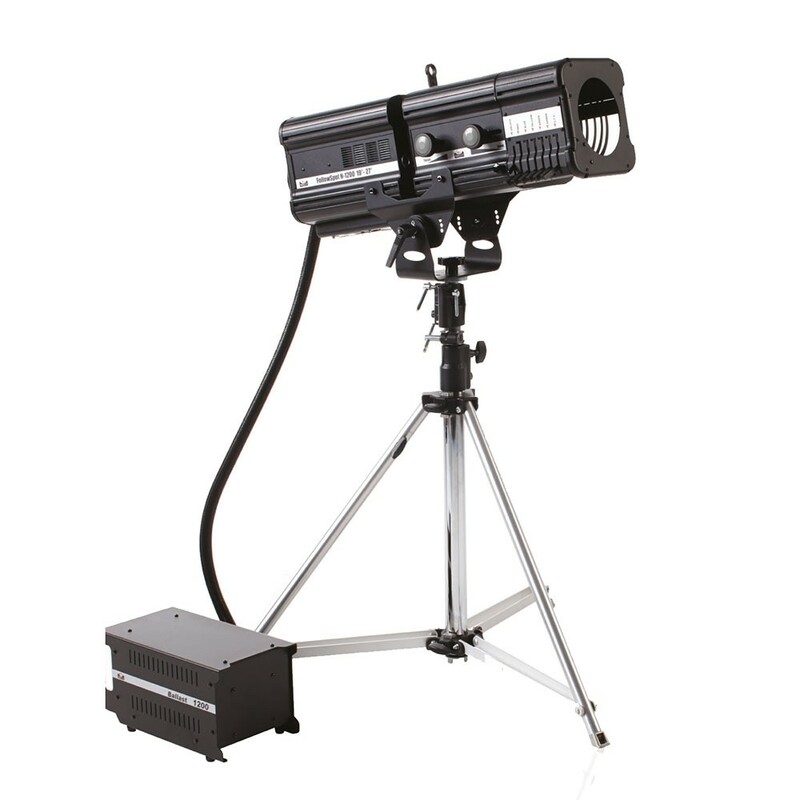 Followspot 1200W with external ballast for G22 1200W MSD/MSR lamp, flat field projection, ideal for use in medium-large-scale venues. It features a user friendly back handle, strong mechanics with extruded aluminium and steels plate body. 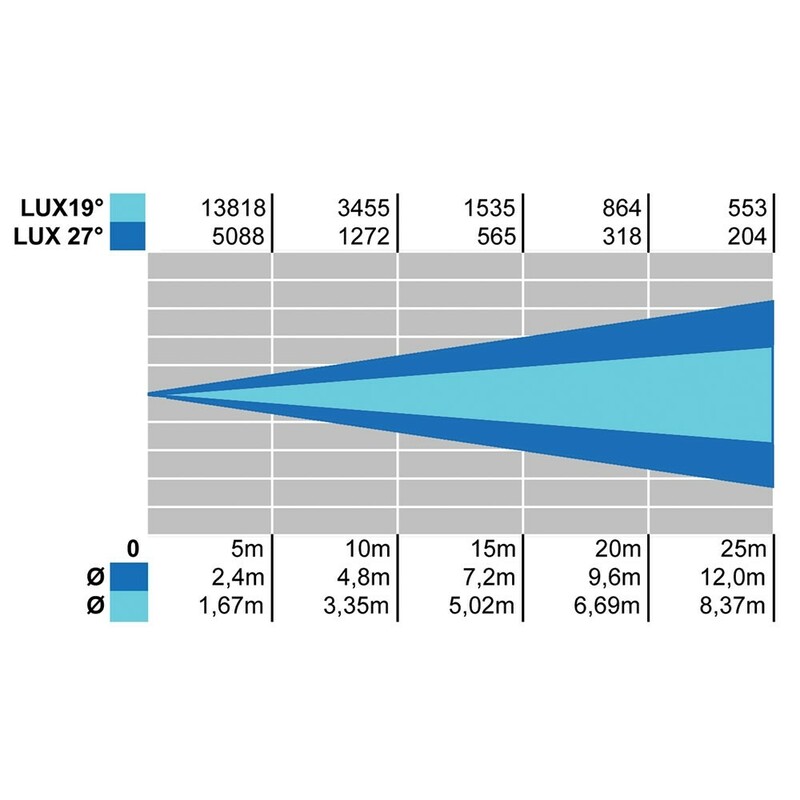 Excellent light beam thanks to high-quality optics by Arena Luci, with adjustable double condenser lens system. Suitable for theaters, television studios and photographic studios. Adjustable beam opening from 19° to 27° through the lens slide, perfect focus with the same system and adjustment of the softness of the beam boundary. 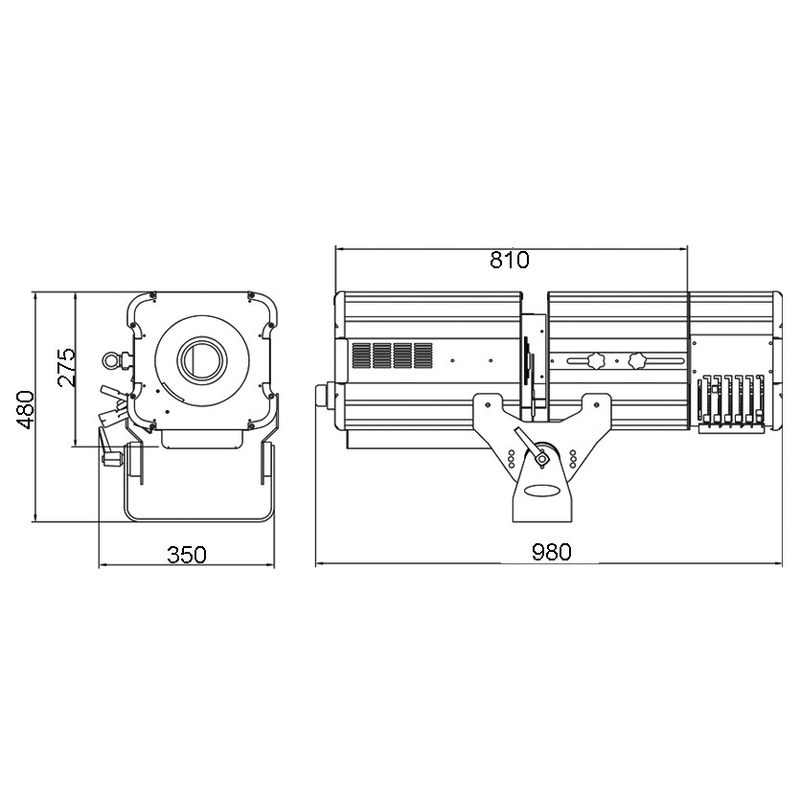 Profile system with four steel shutter blades is included. Color holder for 6 filters is included.